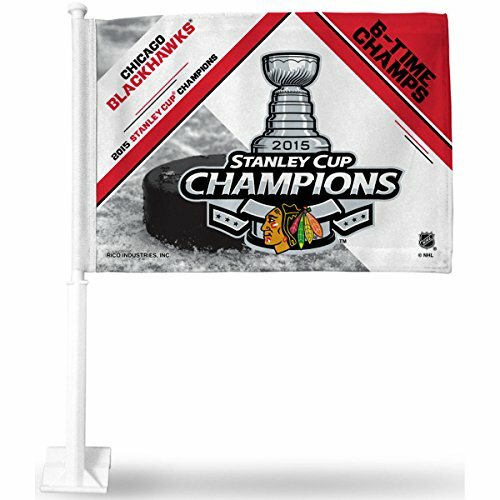 Commemorate your team's 2015 NHL Stanley cup Championship with Rico Industries' car flag. Durable car flag is made of polyester and hangs from a 19-inch pole that easily attaches to any vehicle window. Team and Championship Decoration is boldly printed on both sides of flag. Proudly made in the USA.